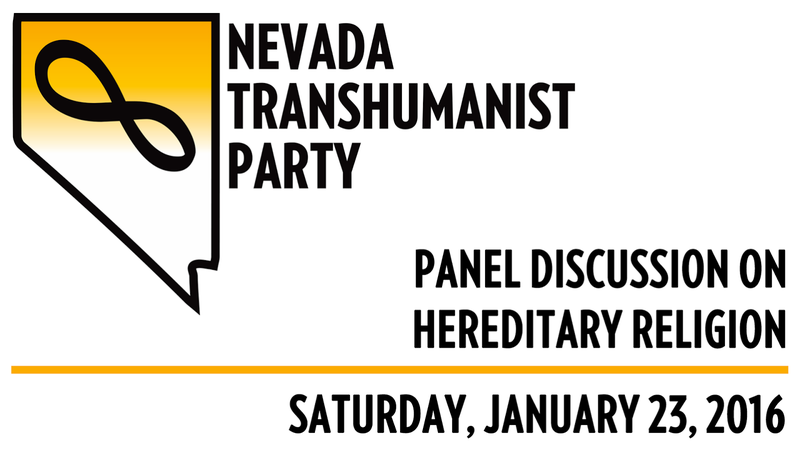 The Nevada Transhumanist Party invited notable panelists to participate in a 2.5-hour conversation via Google Hangouts on Air, in order to discuss free thought and the prospects for children to be allowed the freedom to choose how (or whether) they will approach religion, instead of being compelled to follow the religious beliefs of their parents or the surrounding society. This independent panel discussion was moderated by Mr. Stolyarov and occurred on Saturday, January 23, 2016, at 11 a.m. Pacific Time. Each participant offered a unique, unfettered perspective on the subjects discussed. Panelists were asked to opine on the subject of how cultivating free thought and independent decision-making from a young age can result in children growing up to be more interested in advancing science and technology and solving the great problems of the human condition. Section XXIII: The Nevada Transhumanist Party supports the rights of children to exercise liberty in proportion to their rational faculties and capacity for autonomous judgment. In particular, the Nevada Transhumanist Party strongly opposes all forms of bullying, child abuse, and censorship of intellectual self-development by children and teenagers. Section XXVI: The Nevada Transhumanist Party welcomes both religious and non-religious individuals who support life extension and emerging technologies. The Nevada Transhumanist Party recognizes that some religious individuals and interpretations may be receptive to technological progress and, if so, are valuable allies to the transhumanist movement. On the other hand, the Nevada Transhumanist Party is also opposed to any interpretation of a religious doctrine that results in the rejection of reason, censorship, violation of individual rights, suppression of technological advancement, and attempts to impose religious belief by force and/or by legal compulsion. Adam Alonzi is a writer, biotechnologist, documentary maker, futurist, inventor, programmer, and author of the novels “A Plank in Reason” and “Praying for Death: Mocking the Apocalypse”. He is an analyst for the Millennium Project, the Head Media Director for BioViva Sciences, and Editor-in-Chief of Radical Science News. Listen to his podcasts here. Read his blog here. Troy Boyle is a comic-book artist, writer, and former president of The National Atheist Party (now the Secular Party of America), which he co-founded in March 2011. Troy has worked for Image Comics, Desperado Publishing, Caliber Press, and Boneyard Press. Some of Troy’s comic-book art is included in “Mysterious Visions Anthology”, “Ppfszt!”, “Tribute”, and “The Return of Happy the Clown”. He also provided artwork for David Gerrold’s comic “A Doctor For the Enterprise”. See his Wikipedia page here. Roen Horn is a philosopher and lecturer on the importance of trying to live forever. He founded the Eternal Life Fan Club in 2012 to encourage fans of eternal life to start being more strategic with regard to this goal. To this end, one major focus of the club has been on life-extension techniques, everything from lengthening telomeres to avoiding risky behaviors. Currently, Roen’s work may be seen in the many memes, quotes, essays, and video blogs that he has created for those who are exploring their own thoughts on this, or who want to share and promote the same things. Like many other fans of eternal life, Roen is in love with life, and is very inspired by the world around him and wants to impart in others the same desire to discover all this world has to offer. Roen also runs the Facebook page “Gods are unproven hypothetical conjecture“. B.J. Murphy is the Editor and Social Media Manager of Serious Wonder. He is a futurist, philosopher, activist, author and poet. B.J. is an Advisory Board Member for the NGO nonprofit Lifeboat Foundation and an Affiliate Scholar for the Institute for Ethics and Emerging Technologies (IEET). He’s done work as a Tech Adviser for both TV and short films and is currently an Ambassador for artificial intelligence tech. company Humai. B.J. is a co-author of The Future of Business: Critical Insights Into a Rapidly Changing World From 60 Future Thinkers, his chapter being “The Future Business of Body Shops,” which explores how 3D printing, cybernetics, and biohacking will fundamentally change not only the business industry of the future, but subsequently the human biological substrate itself. Demian Zivkovic is the president of the Institute of Exponential Sciences (Facebook / Meetup) – an international technopositive think tank / education institute comprised of a group of transhumanism-oriented scientists, professionals, students, journalists, and entrepreneurs interested in the interdisciplinary approach to advancing exponential technologies and promoting techno-positive thought. He is also an entrepreneur and student of artificial intelligence and innovation sciences and management at the University of Utrecht. Demian and the IES have been involved in several endeavors, such as organizing lectures on exponential sciences, interviewing experts such as Aubrey de Grey, joining several of Mr. Stolyarov’s futurism panels, and spreading Death is Wrong – Mr. Stolyarov’s illustrated children’s book on indefinite life extension – in The Netherlands. Demian Zivkovic is a strong proponent of healthy life extension and cognitive augmentation. His interests include hyperreality, morphological freedom advocacy, postgenderism, and hypermodernism. He is currently working on his ambition of raising enough capital to make a real difference in life extension and transhumanist thought.